The Patient Protection and Affordable Care Act, AKA ObamaCare or Healthcare Exchange, begins on January 1, 2014. What does this mean for the people of New Hampshire? Below is a list to help you get ready for the deadline. â€¢ All 1.3 Mil residents of New Hampshire must purchase federally approved health insurance, unless otherwise exempt, during the initial enrollment period or you will charged a penalty. One exemption is if essential coverage would cost more than 8% of your income. To learn more about ObamaCare penalties for the uninsured and to find out if you qualify as exempt, please read the article Affordable Care Act: Penalties for the Uninsured. â€¢ All residents of New Hampshire are eligible for health insurance coverage, regardless if you have a preexisting condition. To learn more about this, read the article ObamaCare: Guaranteed Issuance for Everyone. â€¢ The initial open enrollment period is October 1, 2013 and ending March 31, 2014. The open enrollment period for 2015 and beyond will be a 3 month period. Contact 800-930-7956 extension 0 for assistance signing up. 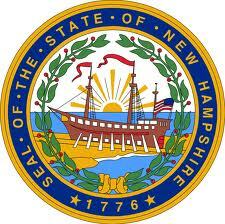 â€¢ Federal subsidies are available for thousands in state of New Hampshire. To find out if you qualify for a federal subsidy and to learn more, read the article Health Care Exchange Subsidies: Do You Qualify? You do not have to go this alone, for any questions about ObamaCare policies and New Hampshire please call 800-930-7956 the number above or contact Medicoverage: New Hampshire.